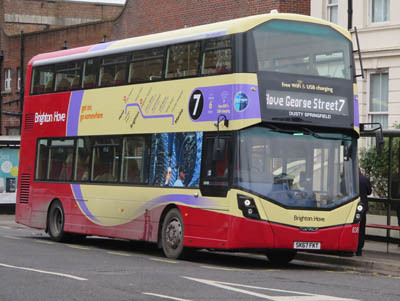 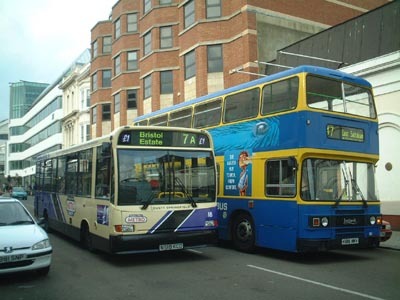 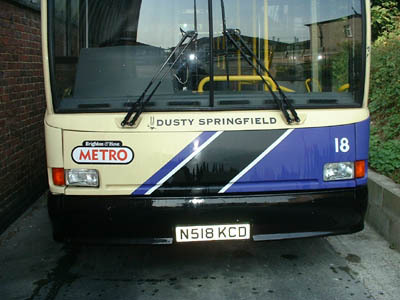 18 Dennis Dart carried name since September 1999 as part of the launch of the Walk of Fame at Brighton Marina, on METRO Line 7 until April 2004 when bus was sold. 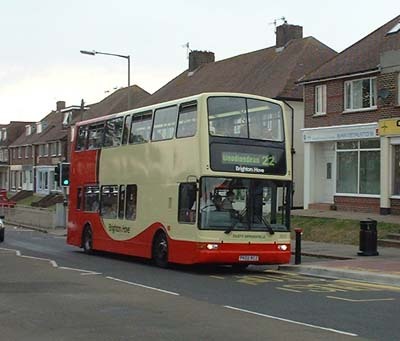 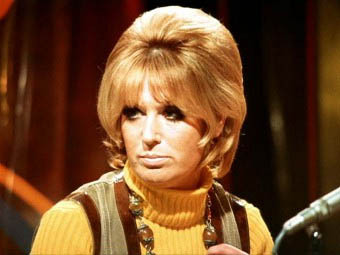 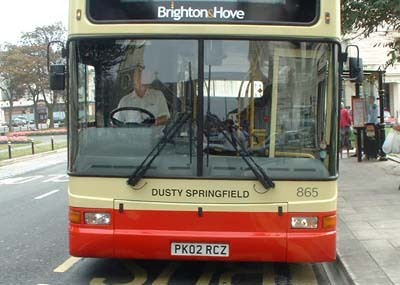 In July 2004 Dusty reappeared on Dennis Trident 865 until sold. 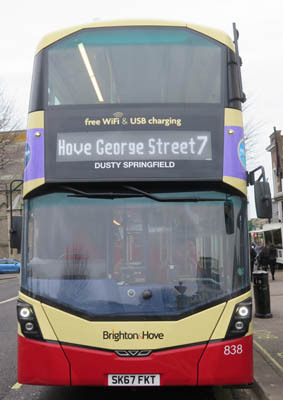 Name reappeared on Mercedes Streetdeck 838 in November 2017.